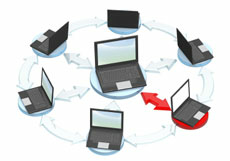 ACI can provide remote computer support via phone, email, and remote desktop. We provide onsite IT services in the New River Valley and surrounding areas. Diagnostics and troubleshooting for PCs, Macs, mobile devices, printers, and network issues. Hardware deployment, installation, and setup from full systems to individual components such as networks cards, memory, hard drives, media drives, video cards, or whatever is needed. Software installs, uninstalls, and setup. Virus and malware scans and system recovery. Automation Creations, Inc. offers business class IT support. ACI offers technology services beyond what a Best Buy or local computer store technician can provide. We employ IT professionals with years of experience. We do long term partnerships and ongoing scheduled maintenance. We work with you until your computer and networking problems are solved, on a small or large scale. If you would like to learn more about our IT services and our rates, please contact us.